Michael Alexander Young is the award winning Music Director of Charities Philharmonia, London Youth Opera and Little Operations. Michael has worked with the English National Opera, the Fabulous Beast Dance Company alongside orchestras and ensembles across Europe and America. Michael was twice holder of the Sir Charles Mackerras Fellowship at Trinity College of Music, London, having previously been awarded the London Philharmonic Orchestra Paul Woodhouse Fellowship by Kurt Masur. 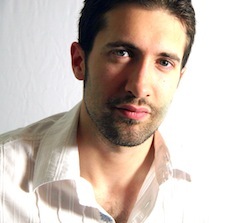 Described by Diego Masson as an 'uncommonly expressive and intelligent conductor' and critically acclaimed for his 'inspiring and single-minded direction', Michael was a prize winning finalist at both the Eighth Leeds Conductors' Competition and the Ninth International Pedrotti Conducting Competition (Trento, Italy). Michael began conducting whilst an undergraduate at the University of Leeds where he was awarded the Lord Snowden Prize for being instrumental in raising the profile of classical music at the university. He formed the Leeds University Union Symphony Chorus and initiated a series of charity concerts in aid of Cancer Research UK at Leeds Town Hall, which have since become annual events. Whilst taking postgraduate conducting, piano and harpsichord studies at the Royal College of Music, Michael was awarded the London Philharmonic Orchestra Conducting Fellowship, deferred until completing his studies. Michael has assisted various conductors including Bernard Haitink, Ed Gardner, Mark Elder and Vladimir Jurowski. Michael is an alumnus of Agnes Kory at the Bela Bartok Centre for Musicianship.